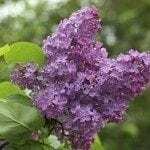 My lilac bushes have bacterial blight and nothing I try gets rid of it. Can you help? I am using copper fungicide and am watering and fertilizing regularly. I keep cutting back the affected branches but I can not get ahead of it. I have lost several entire bushes as a result. Can you include a photo? There is a good chance that the soil has been rendered extremely acidic by the treatment. I would suggest adding dolomitic lime to balance that out. It will help recondition the soil and protect it from pH swings. Also, adding a little powdering of wettable sulfur to the soil will help kill off anything lurking there.